If it's at all possible, should we add old Oshur to the Global/Galactic lattice. If we do, we should also keep the Battle Islands just so that we have more maps. Also, should we make Auraxis one planet again or keep the Galactic lattice (retconning the Bending)? 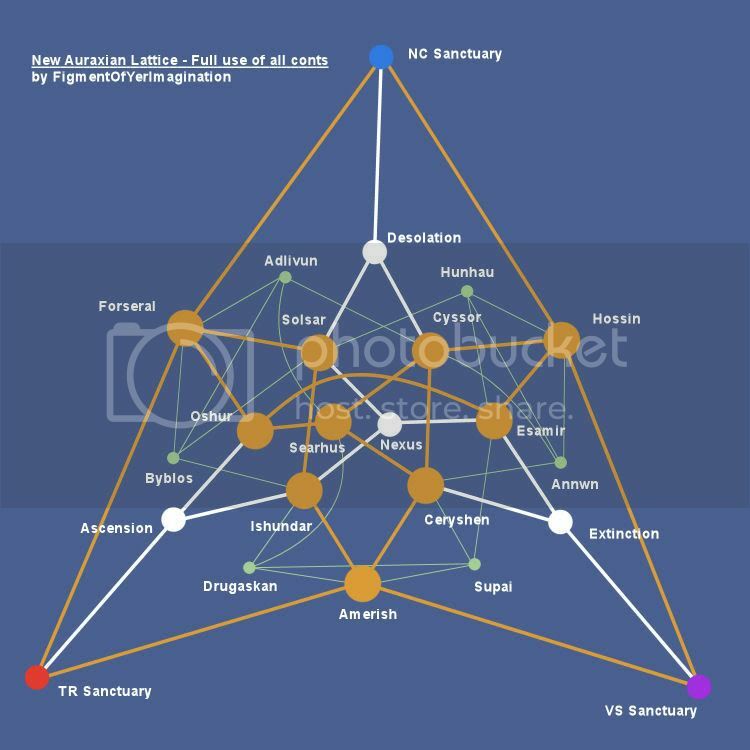 KingFeraligatr wrote: If it's at all possible, should we add old Oshur to the Global/Galactic lattice. If we do, we should also keep the Battle Islands just so that we have more maps. 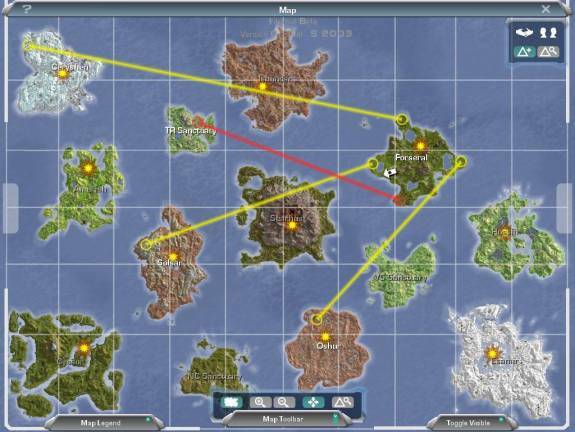 Also, should we make Auraxis one planet again or keep the Galactic lattice (retconning the Bending)? I think we should definitely put as much content into the game as possible, and adding old is hit would be perfect. Just name it something else like indar so it's not redundant. My continental lattice has Old Oshur at the center of an intercontinental map together with Nexus, with the other battle islands as third home continent. Old Oshur is definitely still in, the devs would occasionally run events on it (which were hugely popular as it was good tank terrain with bases relatively close together - the scale meant that it was actually possible to have tanks and infantry push clear from one base to another in one big action). I definitely would support having both Oshurs, but my only concern is having to create a custom global map and how it would work having both continents. Might require too much modification of the game client? I'm not sure though. If only one could be had, Old Oshur is the more popular choice. Although, could always switch up between Old Oshur and the Battle Islands once in a while. 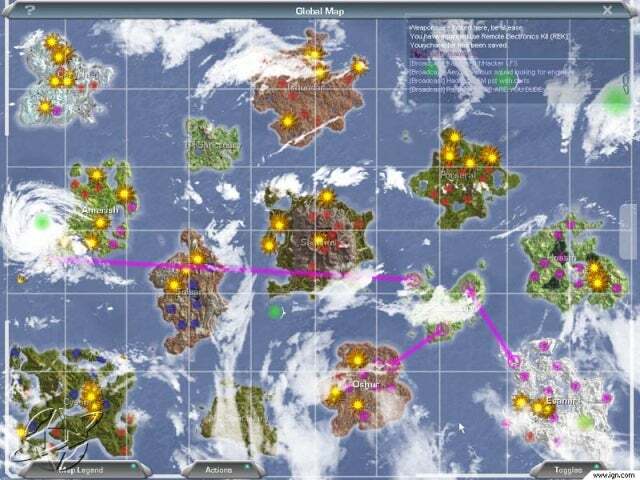 Naeadil wrote: I definitely would support having both Oshurs, but my only concern is having to create a custom global map and how it would work having both continents. Might require too much modification of the game client? I'm not sure though. Linking the lattice isn't that hard either. It's a matter of determining the current code's warpgate identification numbers and properly fixing them to their new destinations. New global Auraxian map update with more details on links (including specific bases) and some rules that would improve gameplay IMO. EDIT: first map updated and made an alternative without conflict continents. You trying to make me cry? 4. some graphic updates wouldn't hurt. Honestly those are the big ones, and I feel if PSForever can at the very least achieve the first 3 items on that list there will be a very happy player base!